I enjoy The Simpsons quite a lot. It's a great TV and pretty much a pop culture institution by now. It has also reached the point where there seem to be just too many episodes out there in existence for anyone to easily catch up with the show. But at the same time, it's highly episodic (thus compartmentalized) nature does make the burden of continuity not an overly heavy one. I was kind of excited when I first read about the The Simpsons: Tapped Out game since it combined a lot of elements that I generally liked in one game. I like world-building games. I like witty banter tied to the original franchise that spawned the game. I like games that I can pick up and drop easily enough. But I didn't fully factor in EA's prevailing design philosophies when it comes to their mobile apps. And that's just a darn shame. The Simpsons: Tapped Out is a world-building mobile game application developed and published by Electronic Arts. It is free to play on both iOS and Android. The premise of the game is that somehow Homer Simpson managed to blow up Springfield because he was playing a mobile game while working at the nuclear power plant. So now it's up to Homer to rebuild Springfield bit by bit and at the same time bring back it's diverse and quirky residents as well. And as you progress, you potentially unlock new animated bits that further flesh out the story - and these are original bits of animation created for the game alone, which is pretty cool. However the game follows the EA freemium model at its most vile. Within your first hour of playing you're going to start to encounter increasingly longer times needed for Springfiled citizens to complete tasks assigned to them such as going to school or smuggling endangered animals. And the completion of tasks is what provides the bulk of the money that you'll use to purchase new buildings and decorations. Buildings also generate some income, but it's slower going and the final amounts aren't at all impressive. And of course the cost for buildings seem to get exponentially higher as you progress. Given it's a freemium game, you know there's going to be an in-app currency that will make things easier. In this case, we have donuts that can be spent to speed up the completion of tasks or can be used to purchase exclusive buildings and decorations that cannot be purchased with the generic cash currency that is earned in the game. You do get maybe 2 donuts every time you level up, but that's hardly enough to get anything done. The game rewards you with potentially more money if you set your tasks on shorter durations and log in more frequently This does not means you should play it constantly though - it's pretty boring once everyone has something to do given there's more for you to do than just watch the citizens walk around. I settled into a habit of logging in just twice a day as the game dragged on, and it would take me several days to earn up enough cash to buy the next quest-dictated purchase goal. The game is great with humor though, and it puts a lot of effort into holiday-themed mini-events and even custom characters tied to guest characters being introduced in the main TV series. This aspect was pretty entertaining but the novelty wears off quickly. After quit an amount of effort put into the game, I've finally given up and have uninstalled the game. It's just not very compelling to watch once task assignments are out of the way. You kind of hope that they'd let you do more in your version of Springfield, but you get nothing. 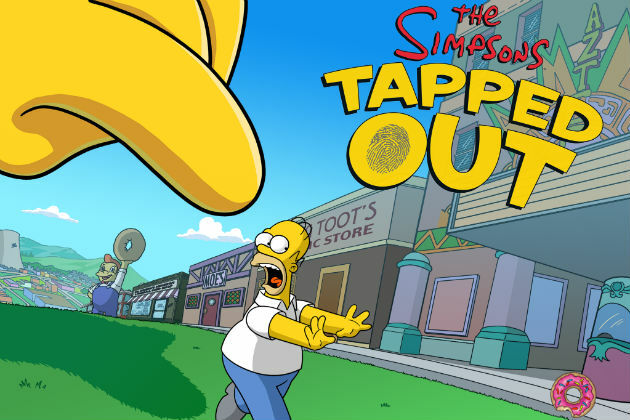 The Simpsons: Tapped Out is a decent enough game with a strong franchise giving it life. However the harsh demands of the freemium model really hurt the game play and make it a lot less fun. Thus I can only rate it as 2 stars out of 5 primarily because of the characters themselves and little else.